We are specialized in Aluminium Alloy fabrication. Aluminium 1060, 6063 etc. are welded at our works. 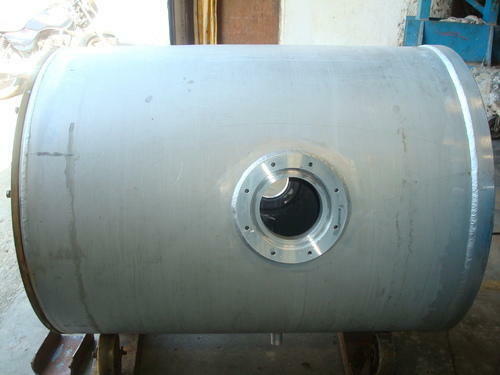 Being a new entrant in the industry, we have become a well reputed name in Manufacturing and Supplying of Flow elements, Storage tanks, process tanks etc. These are designed by effectively using latest technology to ensure that our products adhere to international standards of quality and assist in having better control over involved processes. In addition, we also offer custom fabrication services related to various machines and equipment. Having a vast infrastructure base, we are able to meet the variegated needs of clients within stipulated time period. Owing to quality and durability, these cater to the requirements of process, chemical, power, mining, power and other industries. Further, we ensure our clients a defect free range by stringently testing it on well defined parameters. With our customer friendly approach and ethical business policies, we have gained a huge clientele all across the nation. Some of our esteemed clients include Praj Industries Ltd, Rathi vessels & systems Ltd, Endress + Hauser India Pvt Ltd, Morde Foods Pvt Ltd, Innovative Environmental solutions Pvt Ltd and various others.